6.0mm, F/1.4, indutrial camera fixed focus lens is high-quality and high-performance, to help users obtain realistic and clear images. It is ideal for various industrial detection, intelligent transportation and machine vision. Field of View (FOV) / 1/1.8" 2/3"
Tips: How to choose a right lens for industrial camera? 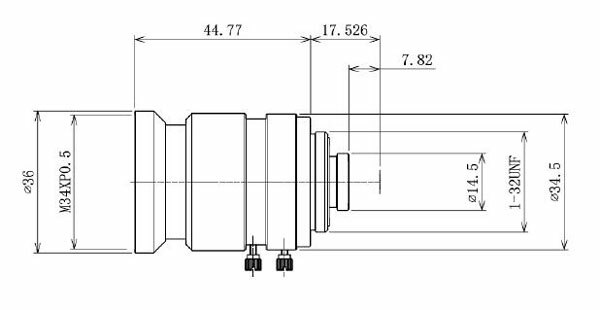 When selecting a lens for industrial camera, we will select a lens that is slightly larger than the field of view of the measured object to facilitate motion control. Use a small aperture as much as possible if the project has a demand for depth of field. When selecting a lens with a high magnification, use a low magnification lens as much as possible if permitted under the project. 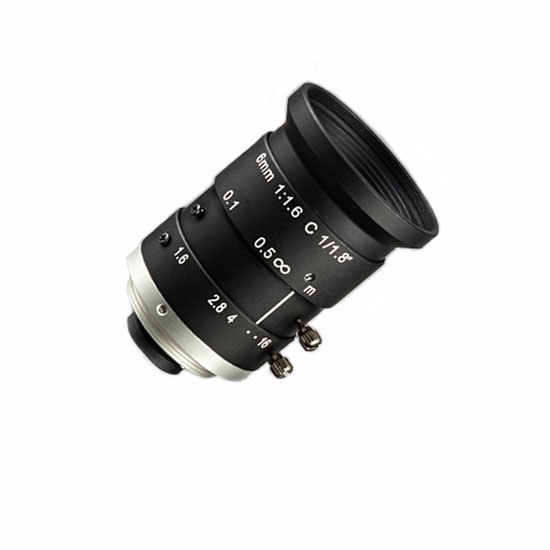 If the project requirements are very strict, high depth of field sophisticated lenses tend to be chosen. For example, a 2/3” lens can fit the largest industrial camera with a surface of 2/3”. It cannot fit an industrial camera with more than 1 inch. 4. Take attention to the cooperation with the light source. Select the right lens for industrial camera based on the light source.